Creating a digital ecosystem, connecting property owners, managers and service providers in the real estate market. Automating previously manual processes, we make real estate management for private property owners & property managers easy and effortless. Our vision is to build an ecosystem where landlords, tenants, and property managers will interact digitally to improve all aspects of living. This is achieved by offering a marketplace to connect all those players on Vermietet.de. Member of the FORBES 30-under-30 of 2018, our founder and CEO Jannes is a true entrepreneur at heart. 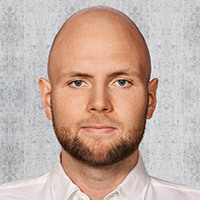 Prior to starting Vermietet.de he gathered experience in Private Equity, Venture Capital and as Managing Director of Rocket Internets Foodpanda in Hong Kong.